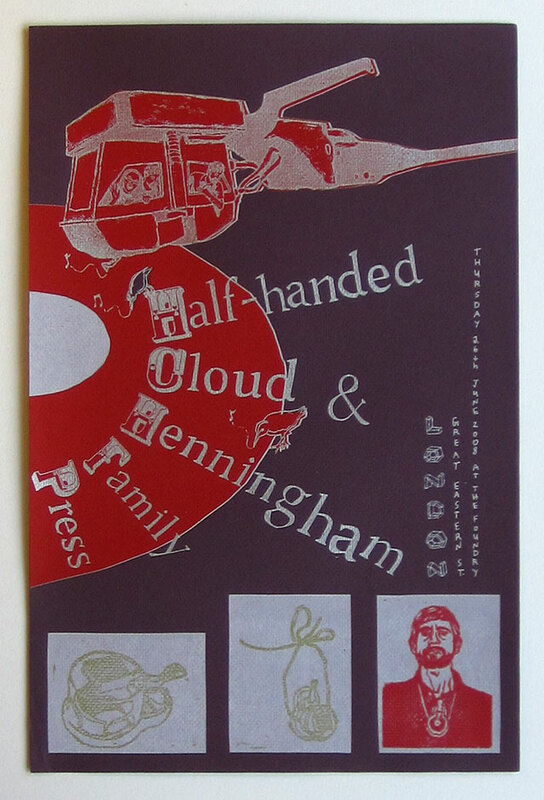 We made this poster with John Ringhofer (Half-handed Cloud) in advance of our 12 foot vinyl record player show. It is on Bordeaux coloured paper, manufactured with windpower, with red, white and silver screenprint inks. There are three linocuts at the bottom, of a bird-powered bell toy. We imagined birds playing this giant record with their beaks, and us enjoying the spectacle from inside a giant stylus/cable-car/helicopter contraption.